With summer fast approaching, you may be looking for some creative ways to cool off this season. 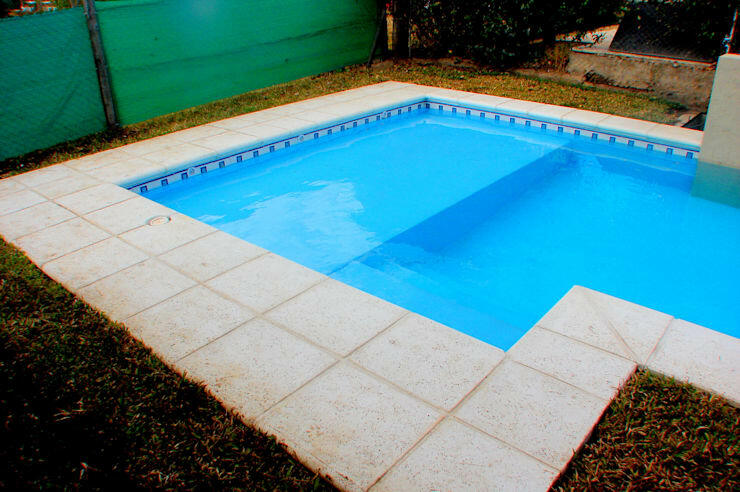 Well, today we're taking a look at the best potential swimming pools for your home, guaranteed to help you beat the heat. Although there is nothing like the ocean and seaside to make you feel revitalised, a crowded beach is probably not ideal for privacy and of course family friendly fun. 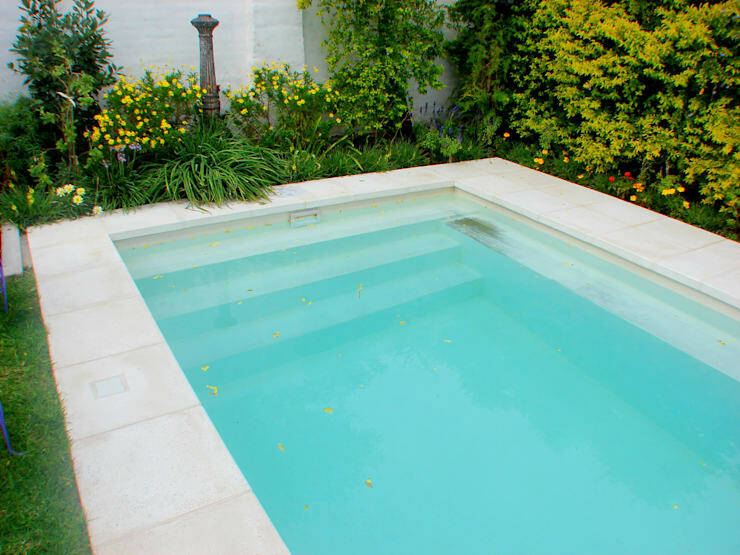 These pools however are an awesome way to take a splash in style, and with these 10 perfect pools, you’re sure to find something to suit your small yard. 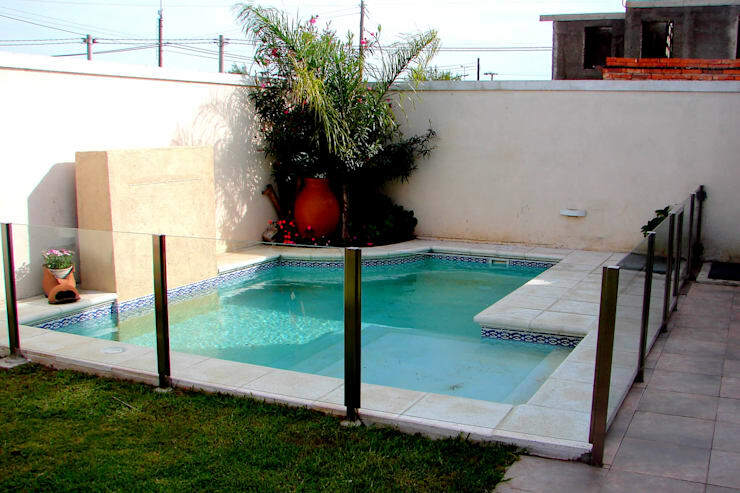 So the only place for a pool in your small backyard may be a corner. 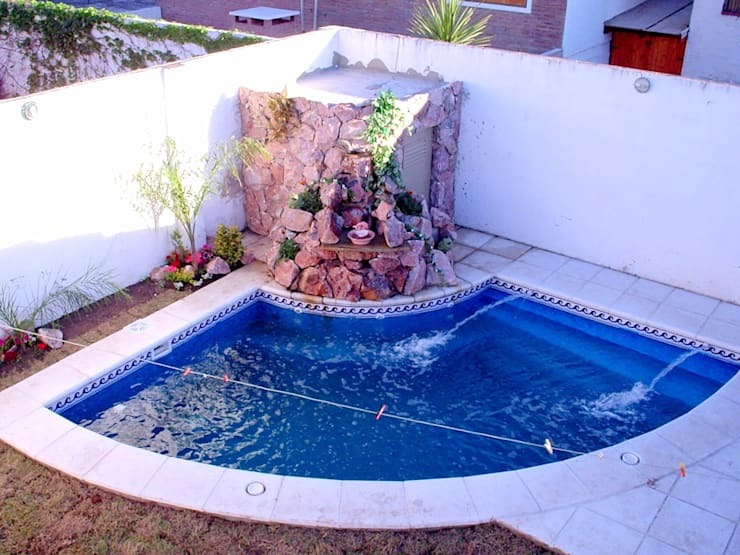 But that doesn’t mean that there isn’t a pool option available for you, this small shallow pool will keep your kids comfortable and entertained during those sweltering days. Add a simple water feature for a calming effect, while you’re at it. If you have small children, it’s important to keep your swimming pool area cordoned off. A protective glass barrier is a great choice for a sleek garden area. This means you won’t have to stress about one of the kids falling into the pool as they play outside. 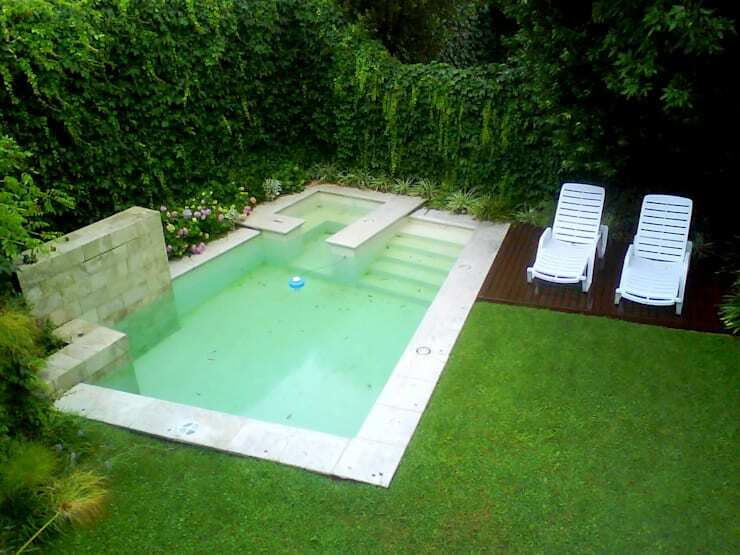 If digging up your garden is not an option to create your perfect pool, then consider the alternative. 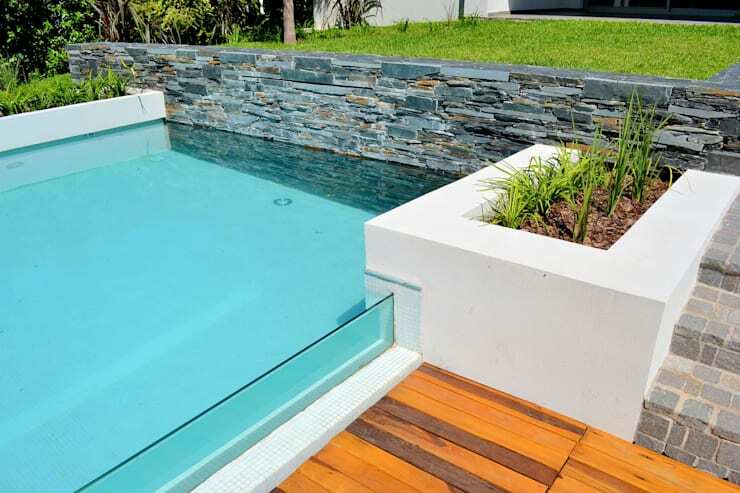 Building a swimming pool above ground is a less taxing idea that could refresh the look of your garden too. 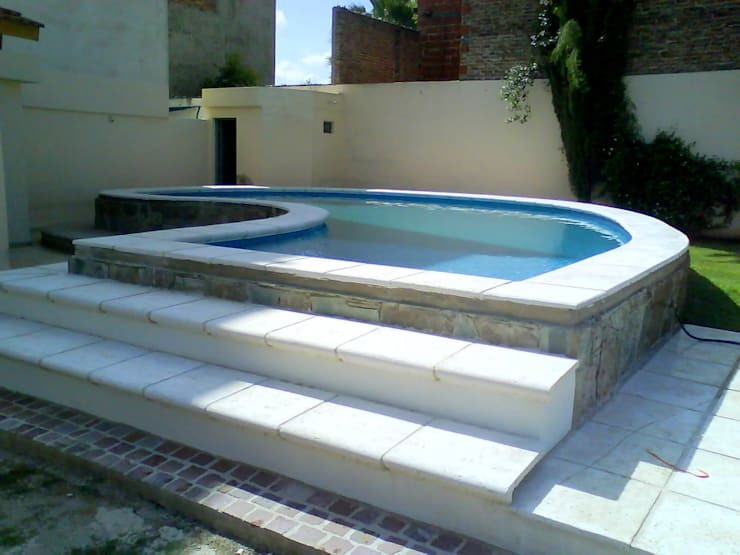 Go for some lovely steps to lead the way, and your pool will be complete. 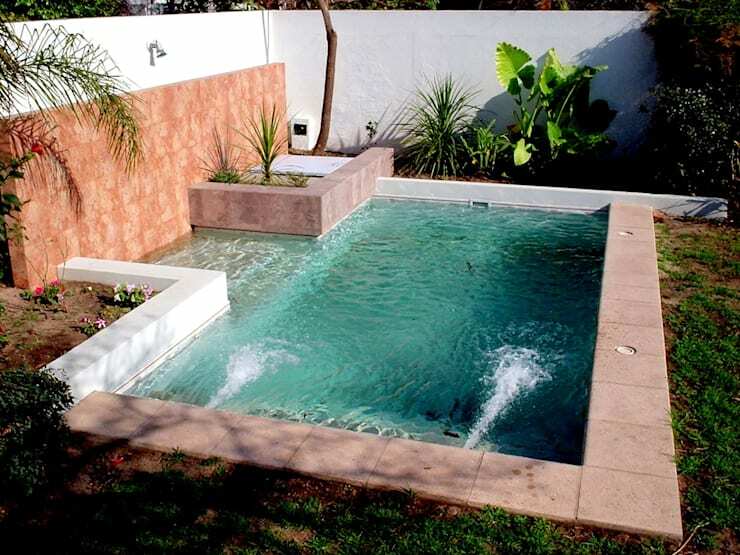 This pool and garden project complements each other perfectly. 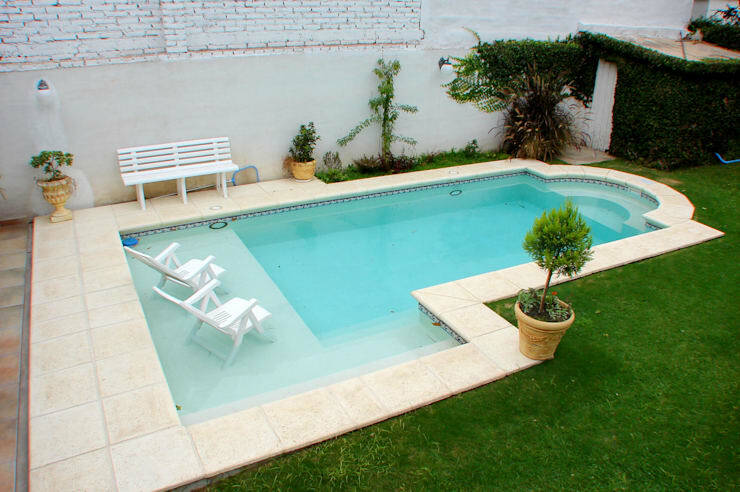 The broad lawn is lush and inviting, while the pool enhances the natural environment for a stress free outdoor space. The pretty floral fantasy at the banks of the pool are an awesome way to enjoy the nature of the surroundings and the simplicity of a relaxing space. A whirlpool feature for your home creates a space that is not just for relaxing, but also for enjoying the comfort and revitalising feeling of the bubbles on your skin. Just lay around at the side of your pool and enjoy the gushing sound of the waterfall, imagine it’s a babbling brook, now how’s that for tranquillity? 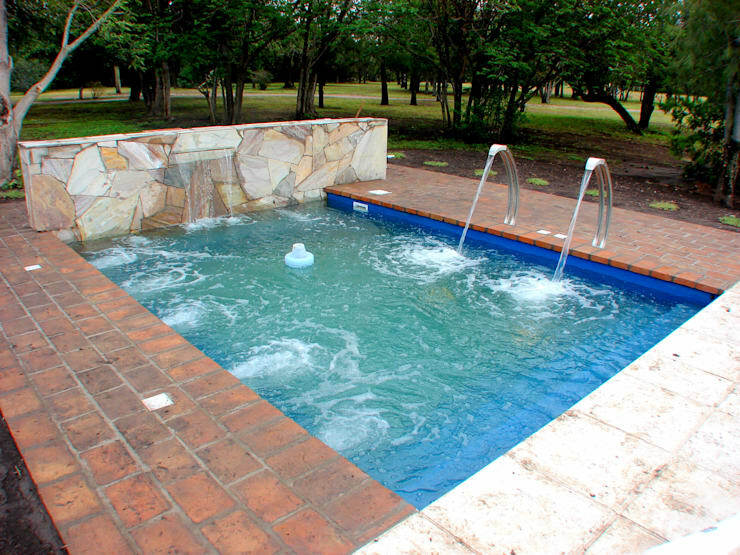 This swimming pool is another awesome option to promote relaxation and serenity in your backyard. The gushing water enhances that atmosphere of serenity, and we cannot wait to just enjoy the garden in all its splendour. The swimming pool of this home is great for a quick morning swim, or an extended lounging, with the dual pool height a feature for any of the inhabitants. The vibrant blue hue of the water is absolutely attractive and comfortable, don’t you think? We have come to the end of this Ideabook, but we need to enjoy one last look at an amazing pool. This one features a garden with a spacious lawn, adding a social element to those weekends at the poolside, with benches and chairs for optimal chill space. Now that you have some ideas for your pool, how about these: 20 beautiful gardens to make your entrance look better? Do you have a favourite pool?